After visiting his brother one evening, William Holt takes a walk in the country when he becomes lost. As he tries to find his way back, he finds everything appears to have a soft, red glow to it. He chalks this up to the new moon but every time he looks toward the source of light, it always seems behind him. Eventually, there is another large and blinding light that covers the area and within this, he sees his wife and child. Then darkness ensures and Holt eventually finds his way back to his village but by the opposite end of which he left. Later, he received a telegram about the death of his wife by a sweeping fire in Chicago. Another 2-pager without much meat to it. 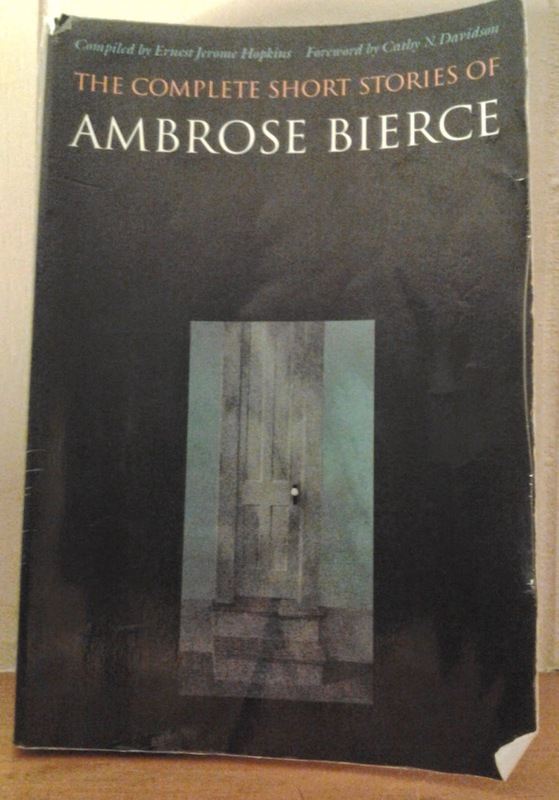 Again, classic elements of the supernatural from Bierce but nothing of consequence.